The new Armstrong Student Center was designed in response to concerns that the existing student center facility was dated. The project involved renovation of the existing buildings as well as construction of a central structure. 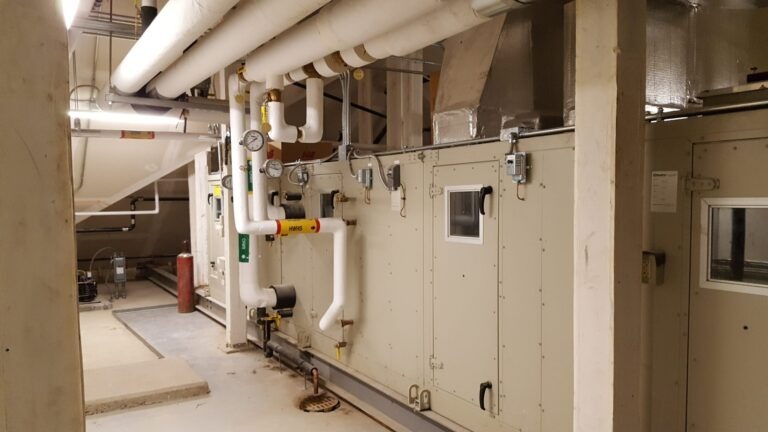 The project included complete system and finish demolition of three existing buildings, and the structures and load-bearing walls are incorporated into the new facility with building additions. The first phase of the project included the addition of a marketplace, upscale dining, student organization spaces, an atrium, conference spaces and a 700-seat theatre. The second phase involved a three-level renovation of Culler Hall, an expansion of the galleria, new food and drink venues, a student senate auditorium, classrooms and offices. The project achieved LEED Silver status. For this project, HAWA provided the design of complete new systems for all HVAC, plumbing, fire protection and electrical lighting. The construction documents were developed using Revit—BIM software. HAWA also provided constructability review services during construction for the systems designed.